sure you are one of his numerous repeat customers. Fully bonded and insured – providing office cleaning services throughout Cape Cod, including Barnstable, Yarmouth, Falmouth, Sandwich, Bourne, Dennis, Mashpee, Harwich, Brewster, Chatham, Eastham, Hyannis, Orleans, Osterville, Plymouth, Provincetown, Sandwich, Truro & Wellfleet. and buff floors. You need it. We clean it! Sure, there may be other Cape Cod office cleaning services to choose from, but do they have you, as the business owner, in mind? At Consistently Clean we deliver office cleaning service that we know businesses deserve. 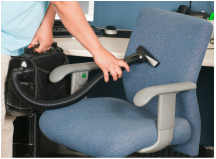 Dependable, quality, personalized office cleaning service that companies count on day after day. With janitorial cleaning services that cover Cape Cod and Plymouth, Consistently Clean brings its no nonsense approach to janitorial cleaning to your area. From Barnstable to Yarmouth, Falmouth to Sandwich, Mashpee to Harwich, the entire Cape Cod. 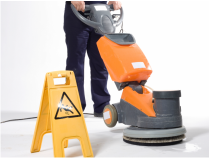 We've got your janitorial service needs covered. "The bottom line is that we care more about our Cape Cod office cleaning services than our competition. From the first moment we talk with business owners through each step of the process, we consider you, your schedule, and your needs as unique. And then we deliver. Our commercial and janitorial services speak for themselves." Barnstable, Brewster, Centerville, Chatham, Cotuit, Dennis, Eastham, Falmouth, Harwich, Harwichport, Hyannis, Hyannisport, Marston Mills, Mashpee, New Seabury, Orleans, Osterville, Plymouth, Provincetown, Sandwich, Teaticket, Truro, Wellfleet, Woods Hole, Yarmouth & Yarmouthport. Consistently Clean is Your Professional Office Cleaning Service for Cape Cod, Massachusetts businesses, and has been for 30 years.